UPDATE (Aug 2017) – Iontoderma is no longer available in US and Canada as of now. Iontoderma is one of the more cost effective iontophoresis machines available in market. At about $400 retail price, Iontoderma id-1000 is clearly attractive for patients who'd like to get iontophoresis treatments at home, but do not want to pay higher prices for other leading iontophoresis machine brands. Iontoderma id-1000 is the flagship (and only) model offered by the company as of now. 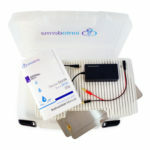 This model is relatively basic, but provides everything you really need from an iontophoresis device for hyperhidrosis. id-1000 is mains powered – meaning it is sufficiently powerful and that you do not need to spend a fortune on batteries. It does not have pulse current, which means that the treatment sessions may be a bit more uncomfortable than other machines offering pulse current (e.g. Hidrex PSP 100) – however, we are talking about relatively mild discomfort and for many people, the multi-hundred $ lower price tag may be attractive enough tread! This iontophoresis device is not (yet ) FDA approved, and infact has had troubles with FDA authorities in Canada. It probably means little since iontophoresis devices are relatively safe product to start with. But if it matters to you, you may want to look elsewhere. As per the company, they are working on FDA approval and that should happen in near future. This post will be updated to reflect that as and when that happens. Out of box, this iontophoresis machine comes with the following components. 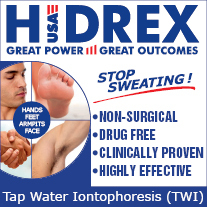 It has everything that you need to get iontophoresis treatment for excessive sweat on your hands or on your feet. Power supply Universal wall power (100V-240V AC, 50-60Hz). Electrodes id-1000 comes with 2 aluminium electrodes. Connectors Gold plated connectors with high corrosion resistance and great electrical conductivity. Banana plugs Gold plated banana plugs to 2.1mm x 5.5mm female that connects directly to the electrodes connectors. Coming soon. The good folks at Iontoderma have promised to provide me with a sample for review. As and when that happens, I will update my first hand experience with this iontophoresis device. 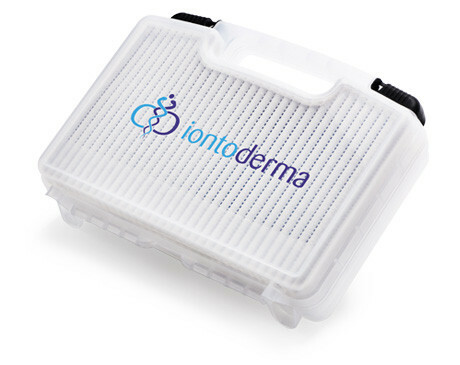 Have you tried iontoderma iontophoresis machine? If yes, please leave a review below to help the hyperhidrosis community! I have been using different products just to get rid of my hyperhidrosis problem, and nothing works for me! but as soon as i have found out the iodtoderma id-1000 and tried to used it though it is expensive but with the help of the coupon code HyperhidrosisNetwork15 that saves 15% it is been less expensive for me so i did buy this product and used it as soon as possible knowing that this product device is not available in US. It feels so good that within a weeks i can see the improvements and it is really an effective device! I have a real bad problem with sweating its getting out of hand now I feel uncomfortable when im around with people im terrible when im nervous and the other day I was just a tiny bit cold and I had to change my top because it was soaked I cant go out anywhere without feeling embarrased.Few weeks ago, I have starting seeing the iontoderma ads on Facebook, ignored at the beginning, thinking that it is too good to be true and also I felt that it was a bit expensive to buy something that I am not sure about its result. However, when the hot weather started, and the sweat got worse sweat increased dramatically. 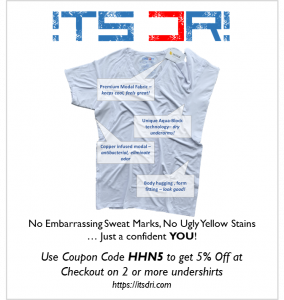 I have decided to buy , luckily with the used of the coupon code Hyperhydroisi Network15 it saved me 15%off, considering that this device is not available in US . I started using it immediately, in the next few days my excessive sweats has slowly gone and i feel dry even on sunny days or hot weather ,this machines really help me a lot. Safe and painless. But made my skin so dry even after applying moisturizer. 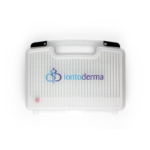 The Iontoderma iD-1000 is a highly rated machine. I have bought it because of its affordability and quality in the same device. It also comes with a lot of positive reviews. Everything you need to treat both the hands and the feet is included with this device. But I just noticed that the Iontoderma iD-1000 is missing FDA approval. I have suffered from hyperhidrosis for a long time now, I have tried the natural approach, herbal, diet, etc. but nothing works. So I’ve had to do extensive research into which iontophoresis machine would work best for me. 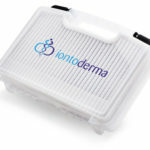 So far iontoderma has the best price with positive reviews. Will try it. I have hyperhidrosis on my hands and feet. I purchased an Iontoderma Iontophoresis machine on last Thursday and received it Friday (lightening fast next day shipping!) and started it the same day. I am very impressed with the device and customer service -amazingly polite, thorough and quick responses. I like this product. The device itself is very user-friendly and can be set-up anywhere provided it is a flat surface. You just need a power outlet and about two cups of tap water. Everything else that you need is included in the kit. However, it can only be used for hands and feet. I have been using this product for a week now, I've been doing it once a day. It is now showing good signs in terms of reducing sweaty palms. This product is also used for feet, but I bought it for the purpose of using on my hands. The machine is very simple to use. And for me it is really effective. A simple 20-minute session once a day is often all it takes to achieve comfortable perspiration level. You should notice results after 7 days.Do one treatment each day, at the highest voltage comfortable for you. You can then space out your treatments according to your preferences. For instance, if you see that after 7 days, you start feeling that the sweat is coming back, it's time for a treatment. Love iontoderma... its the cheapest iontophoresis machine in the market and gets the job done. I had been thinking about iontophroesis for a long time, but my insurance does not provide for iontophoresis... iontoderma is a nice compromise. It does not have all the features, but is a very solid option if you do not want to shell out lot more money. Iontoderma works for me - within 2 weeks my hands stopped sweating, and now I only need maintenance sessions once every week. Try it!